12 And Then There Was...Spam!! 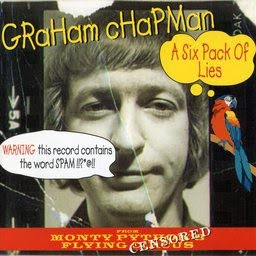 2 comments on "Graham Chapman - A Six Pack Of Lies 1988"
Not great audio, but the content is terrific, Graham speaking at a U.S. college. Found the discussion of what he and Cleese did on "The Magic Christian" the most interesting. Thanks.